These headphones will stay fresh and ready to bust out the jams. You can’t beat the sound quality (or comfort) of a good pair of on-ear wireless headphones, but working out with most pairs can be an exercise in moisture management with a side of stink-appeal. These new Hellas headphones from Urbanears solve that problem with a removable, machine-washable headband and ear cup. You simply pull off the mesh-covered bits, toss them in the provided net laundry bag, and drop them in your washing machine. You’ll never have to deal with smelly, sweaty headphones again. What’s more, these headphones have touch controls built right into the outside of the right ear cup, letting me tap the middle to play or pause my music (or pick up a call with the built-in microphone), swipe up or down to change volume, or swipe right or left to skip tracks. This sounds great in theory, but I ended up switching tracks and stopping the music too often when I went to adjust the headphones while on the treadmill or in the coffee shop. They’re pretty cool-looking, though, with red, black, blue, and white plastic and wire frames that complement the fabric mesh that covers the padded ear cushions and headband. Snapping the latter two off to wash is simple; they won’t fall off when I don’t want them to, either. 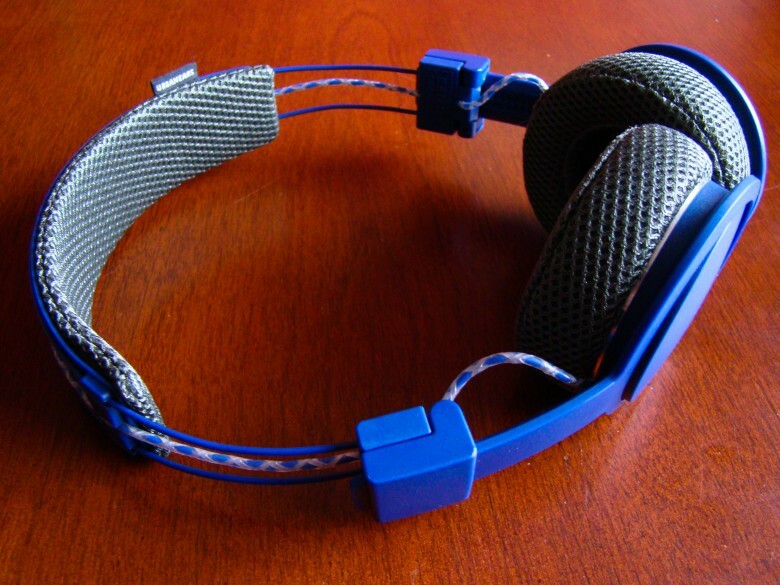 The Hellas headphones are lightweight, too, which makes them great for wearing around the gym. They’re not too tight, either, and they stay on my head in most positions, so I can be sure they won’t fall off when I do those inverted sit-ups. The cushion mesh is a little scratchy, though, which might bother some folks who have sensitive ears. I got used to the feel after a few minutes. I can charge these headphones up with the matching micro-USB cable, and they fold up into a gym bag-friendly size (or that minimalist backpack) so I can stash them when needed. The sound is excellent, too, with a full dynamic range that has just enough low-end to please bass fans and enough high-end without sounding fragile or tinny, thanks to the 60-ohm, 40mm handmade speaker drivers that can handle up to 98 decibels without distortion. Truly, if you’re tired of sweaty, gross headphones or painful earbuds while you’re working out, you owe it to try these washable, wireless headphones that will keep you working out without wires. They sound great, look sharp, and don’t have any cords to tangle you up when you’re on the weight machine. Or, you know, the pommel horse. The Urbanears Hellas Bluetooth machine-washable headphones will run you $120 on Amazon or $119 on the Urbanears website itself. Urbanears provided Cult of Mac with a free review unit for this article.